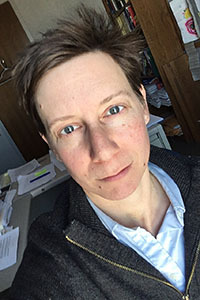 Jennifer Tennant is an associate professor in the department of Economics at Ithaca College. Prior to coming to Ithaca College, she was a post-doctoral associate in the Department of Policy Analysis and Management at Cornell University, an assistant vice president at Moody's Investors Service, and a research assistant at the National Bureau of Economic Research. Her areas of interest include disability and mental health policy, labor force participation of vulnerable populations, and public finance issues. Jen is also the treasurer of the board of The Cherry Arts, a not-for-profit theatre company that performs work that is radically local, radically international, and/or formally innovative.